Thank you all for making our 26th annual Gala a great event! For seventy-one years Killingsworth has been a home for women who are in a major life transition. For the past forty-six years the kind of transition we have addressed has been from crises to stable healthy living. 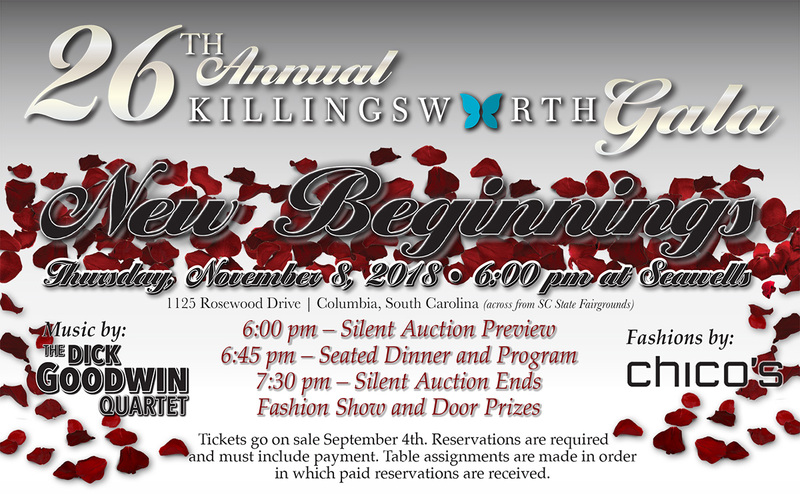 Women from across South Carolina have come to Killingsworth for more than four decades to begin the process of becoming productive responsible members of our communities. We have a lot to celebrate!